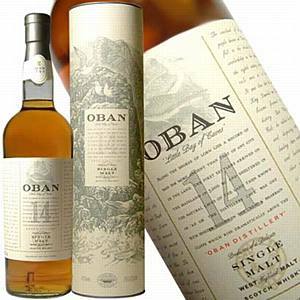 Oban is a fairly isolated distillery, perched on the western edge of the Scottish mainland at the very top of the Kintyre peninsula. It is one of the oldest still active in Scotland as it was established in 1794. The distillery also has an unusual location as it is one of a very few remaining urban distilleries and if you take a walk down the town’s Main Street you’ll see it perched right in the middle. Approximately 20% of all whisky produced here goes in to their single malts with the rest being used in some of the Uk’s most popular blends. Compare prices below to find the best Oban whisky prices.